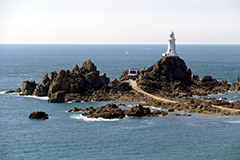 Jersey, the largest island of the Channel Islands, located between Britain and France, has long attracted investors because of its high quality of life, stability, thriving finance sector and low taxes. Its golden residency program requires no special designated investment, only that you pay part of the taxes on your worldwide income to Jersey and buy a residential property there. Jersey residents enjoy visa-free travel to the UK and access to the education opportunities there, so applying for a Jersey golden residency is an excellent alternative to the more expensive UK investment residency program. Processing time is extremely fast, no English skills or business experience is required, and your family members can be included in the application. Your Jersey residency can be extended to your closest family members, including your spouse and children. The golden residency program requires that you pay at least GBP 125,000 per annum in taxes to the Jersey authorities. As a resident, you will have to buy property on the island, and you will have to make it your main home. You will gain the same rights as other residents, including the right to set up a business, take up employment or become an employer. After five years of residing on Jersey, you and your family can apply for permanent residency. After one year as a permanent resident, you also can apply for citizenship (additional conditions must be fulfilled). As a Jersey resident, you will gain the right of unrestricted travel within the Common Travel Area (CTA), which includes the UK, Ireland, and The Isle of Man. Moreover, you and your family will also gain access to UK schools and universities, a stable economy and excellent lifestyle conditions. Worldwide income for Jersey residents is taxed at 20% for the first GBP 625,000 of income, and at 1% for income above that. To qualify for golden residency, you will have to prove that you will contribute at least an annual GBP 125,000 in taxes to Jersey. Once your residency is approved, you will be expected to purchase residential property for a minimum of GBP 1 million on Jersey. Jersey is a low tax area/tax haven, so that capital, capital gains, inheritances, gifts or sales are not taxed. There is no corporate tax either, except on financial service companies and property income companies.